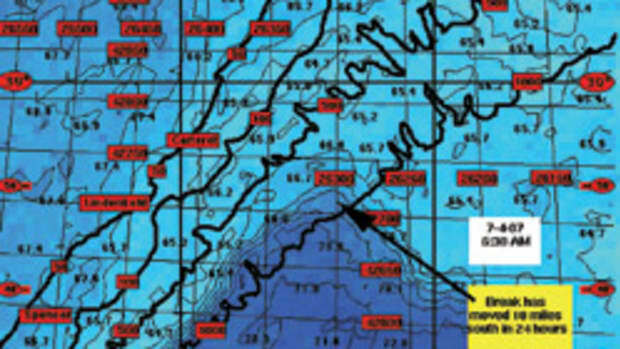 When your testing ground is off Cape Hatteras, North Carolina—the infamously stormy sand spit that has earned the nickname "The Graveyard of the Atlantic"—you had better build a strong boat. 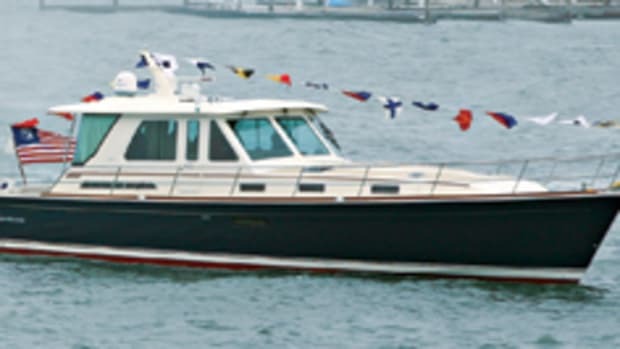 Through-bolted every six inches with 316L stainless steel rivets, the Albemarle 290XF is just that, featuring a hand-laid hull and deck joined with a strong shoebox-style joint and fiberglass-encapsulated fir stringers. 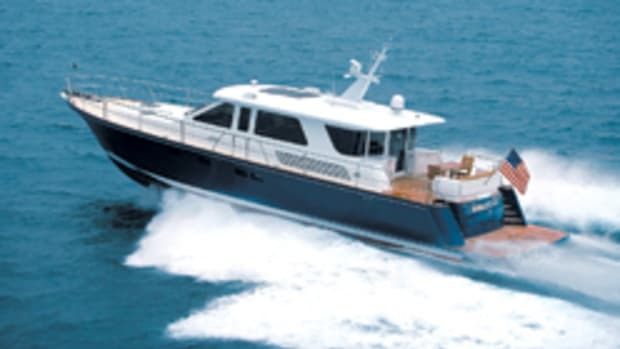 Although the 290XF was designed to replace the 280XF, Albemarle has kept the 280&apos;s 21-degree deadrise and prominent flare but added myriad upgrades to make her more comfortable and seaworthy. 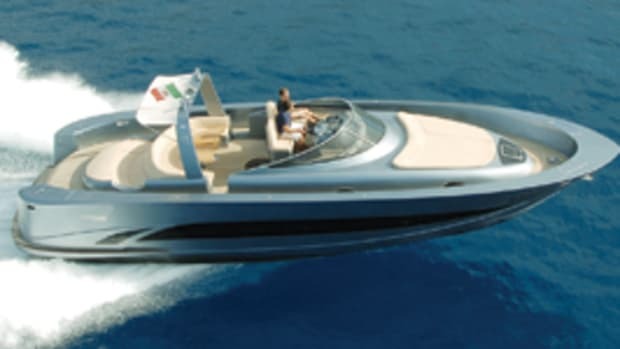 She&apos;s a foot longer and 1&apos;3" beamier, enough of an increase in volume to add two additional fold-down berths forward, a larger helm console that comfortably holds ten-inch monitors with a couple of extra inches to accomodate upgrades, and forward-facing seating for four people instead of only two in the helm station. 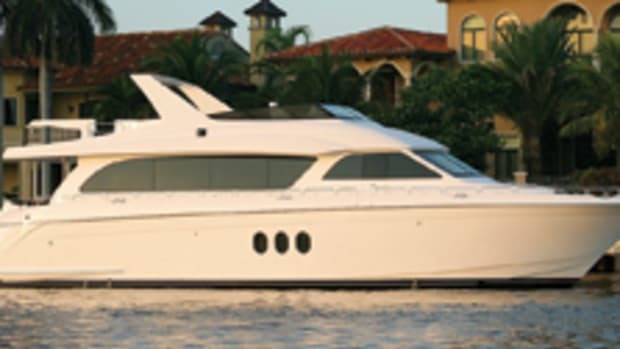 Options include a transom door, a 4-kW Fisher Panda genset, and a 7000-Btu reverse-cycle air conditioning unit, making this 30-foot powerboat comfortably habitable. 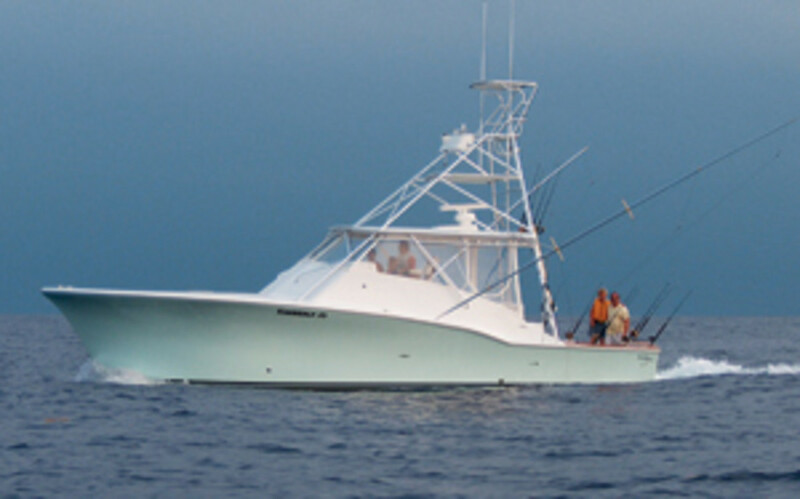 The additional volume also allows for things that are really important on a fishing boat: a 43-gallon transom fishbox, 49-gallon cockpit fishbox, and 21-gallon livewell. 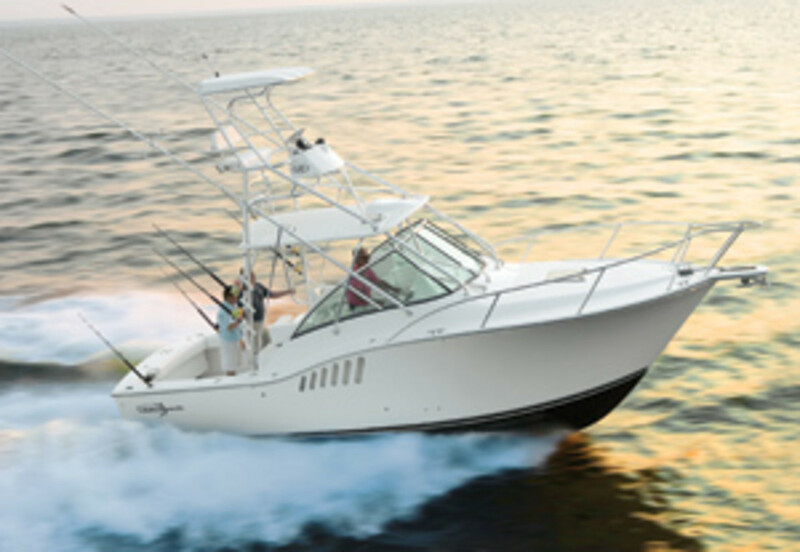 To get you to and from the fish, Albemarle is offering three different engine packages: Twin 315-hp Yanmar 6LPA-STP diesel inboards are standard, but 370-hp MerCruiser 8.1 Horizon gasoline inboards or twin 350-hp Cummins QSD 4.2 diesel inboards are also available. 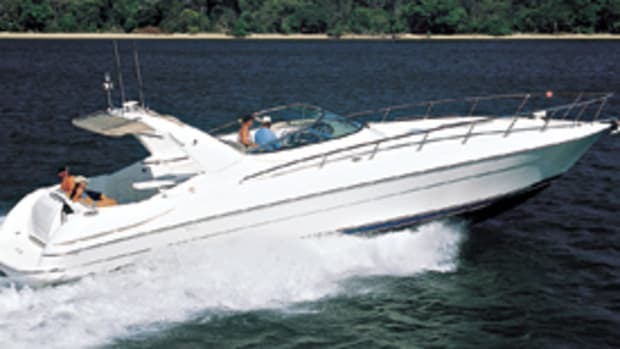 Whatever power you decide upon, she comes with the same SeaStar hydraulic steering and Bennett trim tabs as the 280XF. Judge Yachts shipyard burned to the ground in 2005, but this Maryland builder has bounced back from the tragedy, and 2008 marks its 20th year in business. The vessel headlining Judge&apos;s resurgence is the 42 Express. 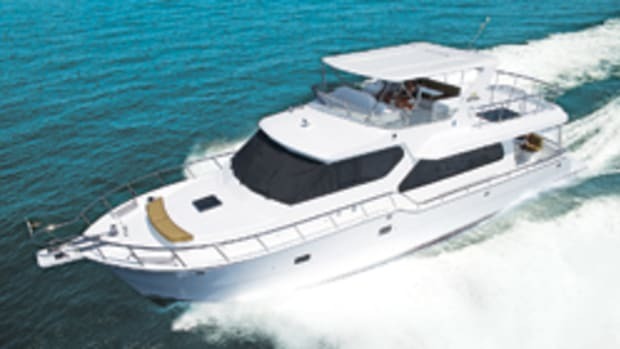 Her straightforward design includes a 130-square-foot cockpit, port and starboard L-shape benchseats around the centerline helm station, a full galley down, and a centerline queen berth forward. The layout is highlighted by warm teak woodwork: cabinets, cockpit decks, and a teak-and-holly cockpit sole. 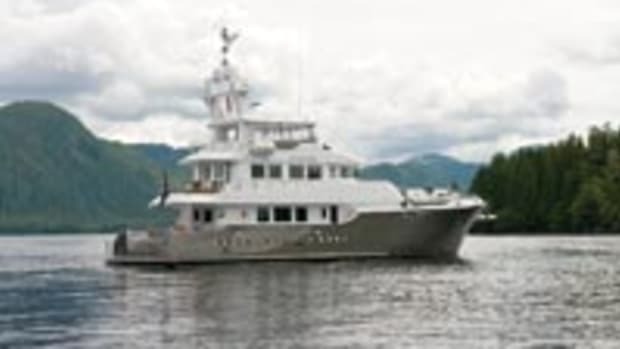 Since she&apos;s a sportfishing boat, she&apos;s available with a 600-pounds-per-day icemaker, tuna door, and tuna tower with enclosure. 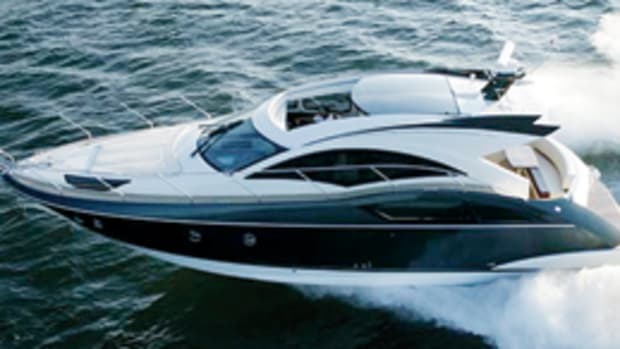 For more information on Judge Yachts, including contact information, click here.